The Sell! Sell! 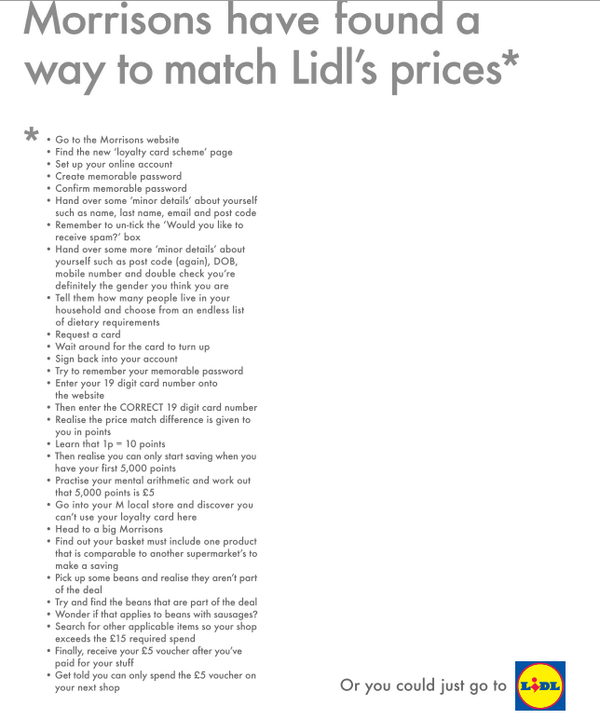 Blog: Another great Lidl ad. I always thought of good advertising as hitting the competition (or consumer) where it hurts. A bit like Ed McCabe's philosophy. This would be right up his alley. Aye, it's a good un. It always restores a (small, temporary) measure of faith in this industry to see a clever, writerly ad struggle into the light of day. Only one small niggle for me. I do not like to occlude the brand name with plurals or possessives. "Lidl prices" would have been more elegant.